Polymeric materials provide a versatile platform for innovation in many different applications. Our laboratory focuses on developing novel monomers and oligomeric additives, with a strong emphasis on photopolymerization. Our state-of-the-art facilities and instrumentation allow precise evaluation of property evolution in real-time, many times coupling several techniques in one experiment. We welcome creative ideas! Aesthetic composite restorations have revolutionized Dentistry. However, their life-span is less than 10 years, and failures are mostly related to fracture and secondary decay. Our lab has come up with simple thiourethane-based additives that are able to improve fracture toughness by two-fold and reduce polymerzation stress by more than 50%. These additives can be applied in a variety of different applications, beyond Dentistry. Ester-containing methacrylate chemistry is known to degrade via hydrolysis, which is a problem for materials that are supposed to survive in the harsh oral environment. 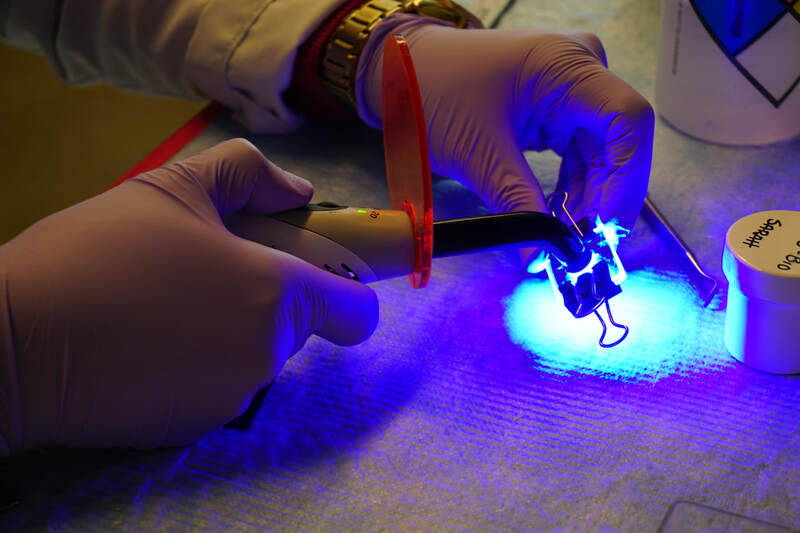 Our lab has been working to produce more stable networks, specifically for adhesive applications, to enhance the longevity of the bond between the restorative composite and the tooth substrate. So far, we have been able to increase the bond strength by at least 30%, with stability surpassing medium-term storage protocols. 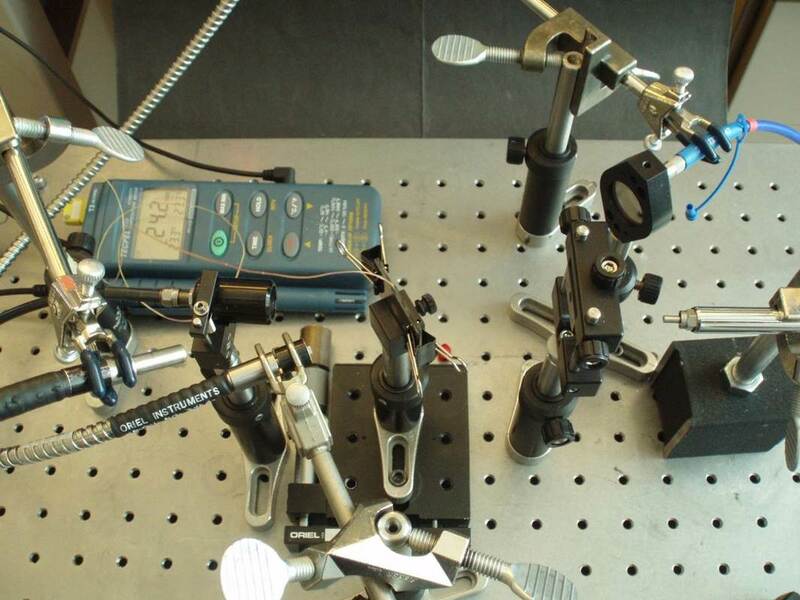 In our lab, we are interested in coupling several instruments for real-time, concomitant measurements of properties as they develop. We use optical coupling of infra-red and UV-Vis spectroscopy, which allow light transmission and degree of conversion to be measured at the same time. Our lab is currently working on coupling IR to a photo-rheometer, to evaluate gel-point conversions.